Okay, so we all see the Caption Contest in the news every week. But I don't think people really appreciate the whole picture. Have you ever thought to yourself, "What if I was the poor the Kacheek who got caught in the act?" Or do you just sit down and giggle at all the clever captions people have come with. For most of you, it'd have to be the latter. Have you ever considered how easily the picture can be misread? Didn't think so. Today we have with us a very special guest. The cute little Scorchio that was on page 139 of the Caption Contest will be joining us today. Baby_Blue will be interviewing these two. Take it away BB. BB: "Thanks Roxy. First of all, everyone please check out this Scorchio--he's starring in his own Caption Contest. He has decided not to reveal his name to us, but asked we call him Robby." BB: "Rob, thank you for talking to us today. Tell us what you were doing in this picture when you were unexpectedly filmed." Rob: "Well, all I wanted to do was wrap a present for my best friend! You know wrapping isn't as easy as it looks! Are you telling me you're so much better than me? Huh? HUH?!" BB: "Uhh Rob, there's no need to yell. Anyway, when this picture came out, and was revealed to everyone, how did you feel?" BB: "Okay! Okay, we get the point. 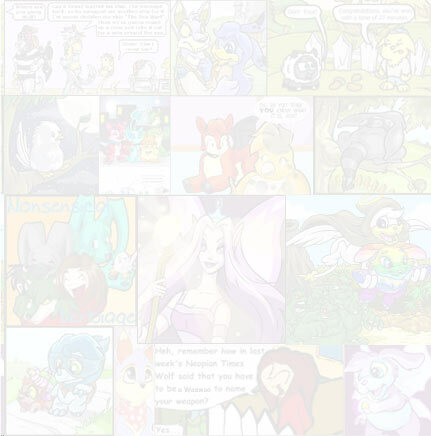 Now, tell us about the two NeoPets in the background. Rob: Well, see those two are my friends. Now, my friend Brucey was laughing at me, but then, Kiki stepped in. She defended me. I love 'er like a sister. Brucey immediately stopped laughing (I mean, wouldn't you if Kiki gave you that face? ), and they both came in to help me. *sniff* What friends I got. BB: Well there you have it. Having only heard from one of the Caption Contest stars, you've come as close to the truth as you can from reading one article. 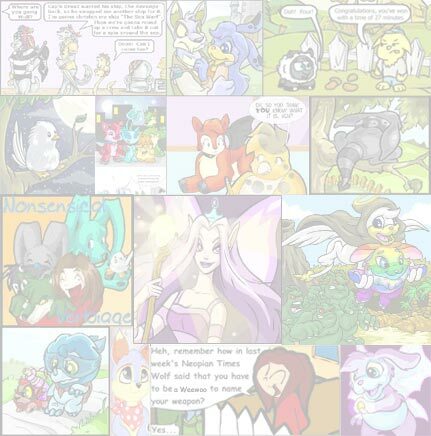 So, next time a Caption Contest appears in the News, just imagine how the poor NeoPet feels. Try submitting something nice, that you wouldn't mind anyone saying about you.